Use matching organza pouches for favors to look very high end. We have matching offerings for all your wedding needs. 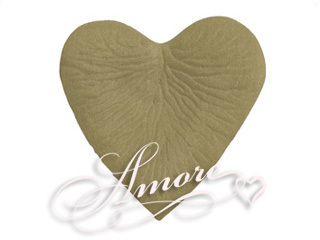 These heart shape petals say it all, love & romance. Perfect for Valentine's and all your romantic needs. Rich in color and feel. Heart Shape size is 2 inch H x 2 1/4 inch W.